Mickey and Pluto fish in a spot where no fishing's allowed. They enjoy various gags and a chase around the river bottom before the sheriff shows up. A scene where the sheriff tries to fire at Mickey, but steps into the water has been cut. I enjoyed watching this cartoon on "Mickey's Mouse Tracks." This is my favorite Mickey cartoon of all. Mickey and Pluto fish in a "No Fishing" area. 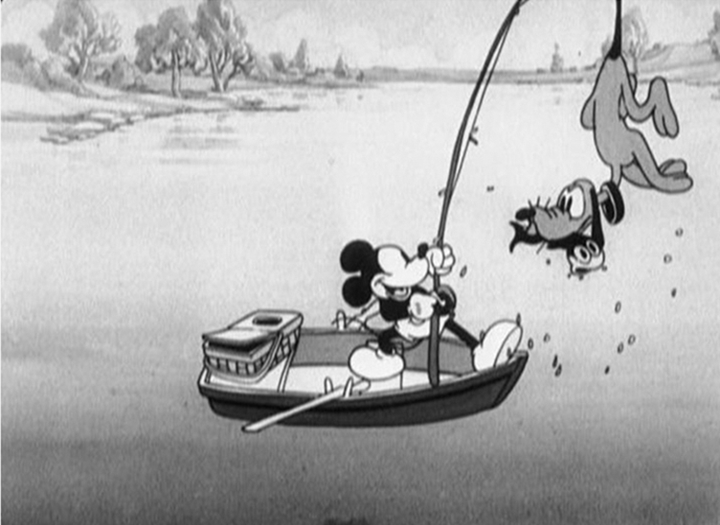 They are frustrated by taunting fish until Mickey and Pluto have to escape from a pursuing game warden. 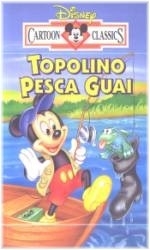 A fun cartoon - full of gags of how the fish outwit Mickey and Pluto. Once again, the "bloodhound sniffing a trail" animation from the 1930 The Chain Gang is recycled - only this time, the "trail" is on the BOTTOM OF THE LAKE!!! This is one of the shorts that Disney colorized. While I usually don't care for colorization, the color did add to my enjoyment of the short. 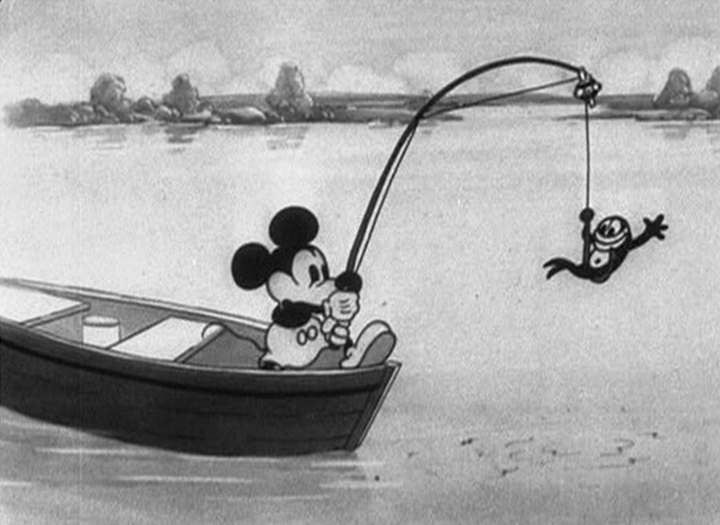 Why didn't Mickey just go to a spot where fishing was legal? Perhaps there were too many people around and the fish were getting scarce. I didn't find this short too interesting, but I still liked it a little. I believe, if I can recall, The sheriff looked a little like the one in The Barn Dance. Maybe it was the same sheriff, who knows? I have never seen the black and white version of this short. 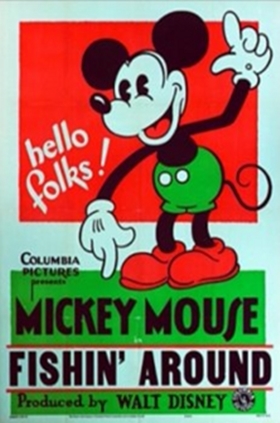 Similar to the earlier Plane Crazy, this short gives another good example of a daring and devilish Mickey Mouse, in which he goes against the system just for a little good, clean, yet wet fun. But what I don't get is why the scene where the cop fires a gun at Mickey was cut. I mean, COME ON!!! You gotta have a little excitement in here. 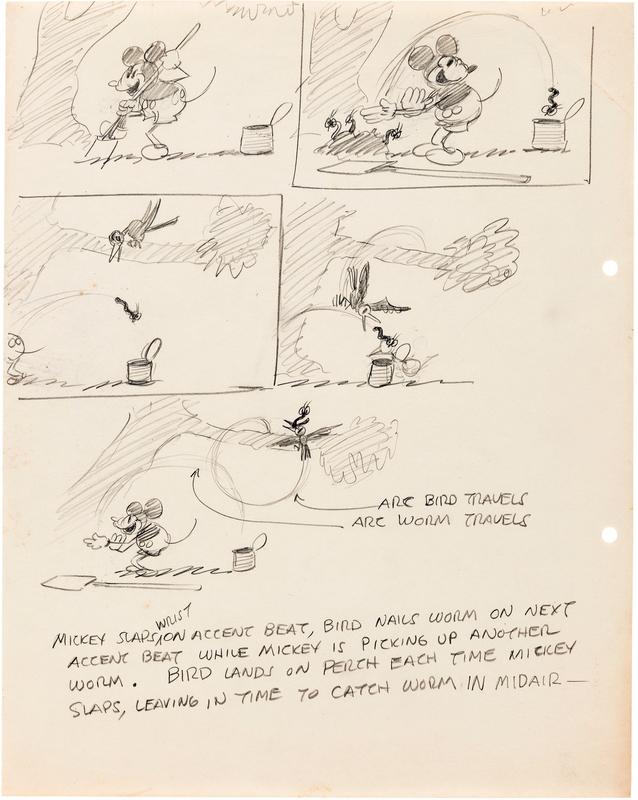 This short shows how much more detail the animators were putting in as the Mickey shorts progressed. 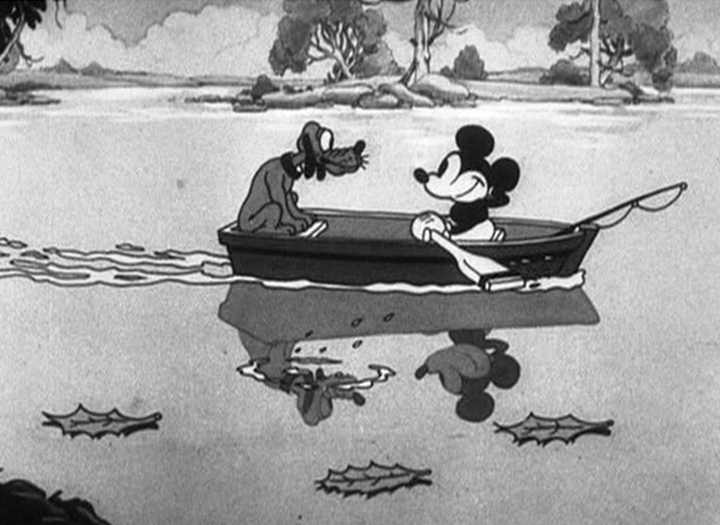 The nice opening scene of Mickey and his best pal Pluto rowing across the lake was really nice, but the reflections of them in the water was just a great piece of drawing skill. This short was just a simple story, but the cartoon was very enjoyable because of the numerous sight gags used and some classic cartoon situations, like Pluto sniffing around the bottom of the lake and all the fish taunting Mickey and Pluto. The fish tying the hooks together, hooking a girdle to Pluto's tail and the like. 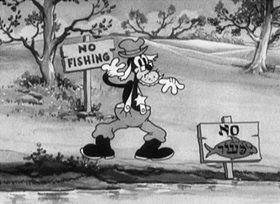 Even Mickey using the "No Fishing" sign for an anchor was a reminder of how Mickey was a bit of a rebel and not the sedate and calm Mickey that the company turned him into today. Another interesting observation: Pluto looks so much more like an old country bloodhound than he Pluto of today! Amazing how he also has changed over time. This short is an 8. 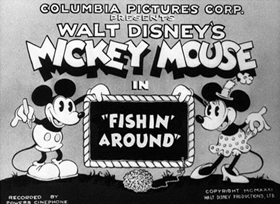 Fishin’ Around is part of what seems to be a growing format for the Mickey Mouse shorts. 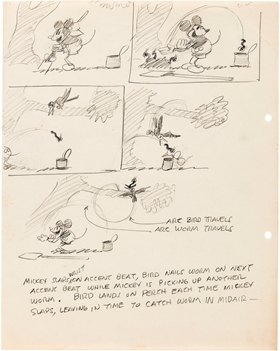 The basic idea is that Mickey is engaged in some sort of pursuit, in this case fishing, and is frustrated by outside influences, in this case the fish, while he and his companions endure endless gags. It’s a formula that will be repeated over and over, and it’s the stuff that good stories are made of. 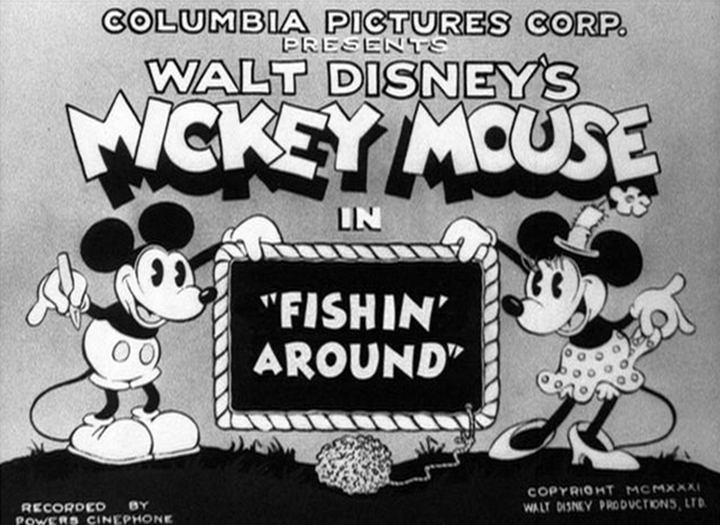 There’s a little bit of the rebellious Mickey in this short, as he and Pluto row out into the lake and stop at the “No Fishin’” sign to drop their lines. Mickey even goes so far as to submerge the sign itself with a pair of horseshoes. 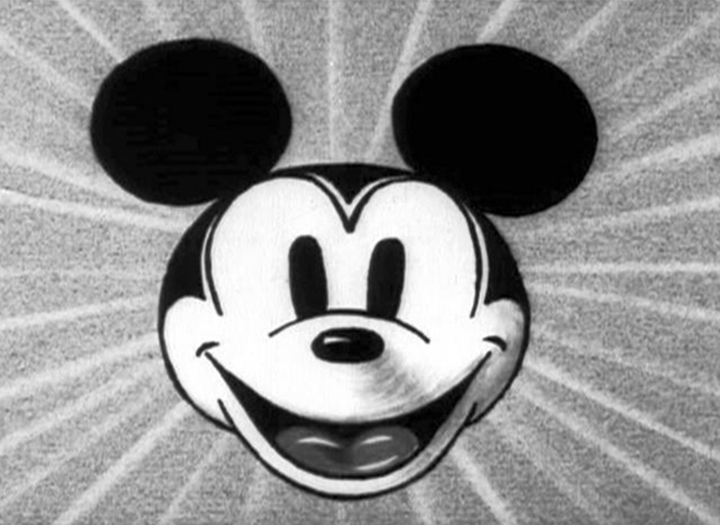 That’s a little more of a mischievous streak than we’ve seen in Mickey in some of the other shorts of this time. The animation in this short is quite good, with some very well done effects and personality work. The first instance of this is the opening scenes of Mickey and Pluto rowing through the water. The reflections of the two in the water, then interrupted by Mickey’s oars or fish jumping over them is a great piece of work. It goes unnoticed because people are focused on the characters in the boat, but that great detail work is part of what separates Disney from other studios. The personality work shows up very clearly when Mickey is fishing. He constantly gets thwarted by the fish, leading to some great gags. The fish pop up out of the water and blow raspberries at him, and Mickey even manages to hook himself. His body language and facial expressions in these instances make the viewer believe the little guy is alive, not just a cartoon. Pluto plays a vital role here as well. He engages in some fishing, dipping a line off his tail into the water, and chases the fish to the bottom of the lake. In fact, he follows the fish down and the animation is reused from his first appearance in The Chain Gang. It’s still fun, though, because of the effects of the water and the absurdity of Pluto sniffing a bloodhound trail on the bottom of the lake. 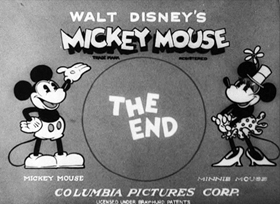 The finale comes when a sheriff notices Mickey in the “No Fishing” zone, and confronts him. There’s some fun interplay there, as the boat takes off with Pluto’s tail serving as a motor, while the sheriff tries to zoom after them paddling a log. Fishin’ Around isn’t high art, but it’s fun. 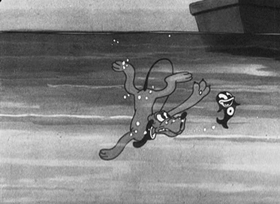 That seems to be the current mode of these Mickey shorts in 1931, though, simply to have some fun. And that is accomplished here in spades. I'm not that keen on this one myself. It's not as funny or gag-packed as shorts such as The Firefighters or Traffic Troubles and the music isn't as memorable or catchy as a lot of the others. Still, there's some good gags that make me laugh. 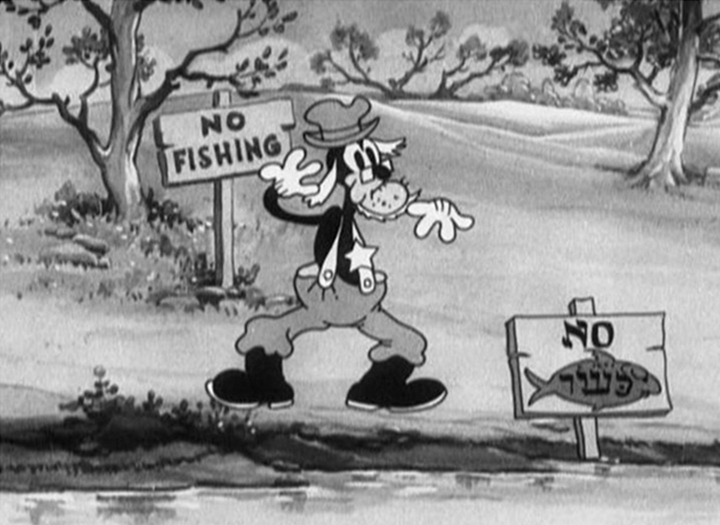 It's great when Mickey catches the No Fishing sign he'd sunk earlier right in front of the sheriff. Also I love the logic of Pluto barking underwater, but the sound not being heard until the bubbles from his mouth burst on the surface. 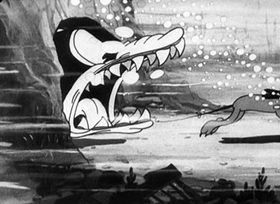 I also laughed when Pluto got chased by the big fish – I wasn't expecting such a monster to emerge from that cave! I was disappointed that the gigantic fish just disappeared after Pluto got back on the boat since was easily big enough to attack the boat. Actually I feel there were a few missed opportunities to make this cartoon more funny and exciting. Despite a couple of good cooperation moments, most of the time Pluto and Mickey tend to do their own thing and I think a lot more fun could have been had with scenes of them together. What if Mickey had spotted the sheriff and tried to keep his distance while Pluto keeps accidentally drawing attention to them by barking at the fish and things? Eventually Mickey could have been caught in his boat pretending not to fish in front of the sheriff, right at the moment Pluto leads the gigantic fish right into the boat! Then the fish could have opened his enormous mouth to reveal the 'No Fishing' sign. You're right about the attention to detail in these shorts. I also noticed in that opening scene how Pluto rocks with the motion of the boat. These characters are lot more solid and have a load more 'weight' than in older cartoons. Also we get to see some of the Frolicking Fish again. Being cartoon characters, I suppose they're happy in either salt or fresh water. I agree with you that there were some missed opportunities here. I think Pluto could have done more to really amp up the comedy, such as chasing the fish through the lake or something like that. It's curious that these things are missed, because it's kind of a pattern in the latter half of 1931 that the shorts are missing out on some funny stuff. The Barnyard Broadcast is a good example of that as well. Don't know if it's an intentional stifling of the comedy or not.